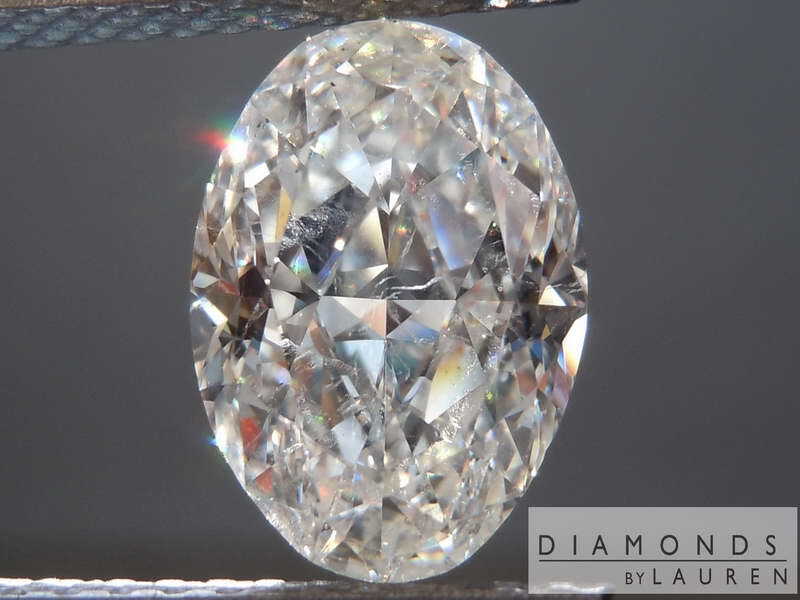 If you've been following us, you'll know that I don't buy into grading systems based on selecting a diamond based on a certain range of table and depth ratios. 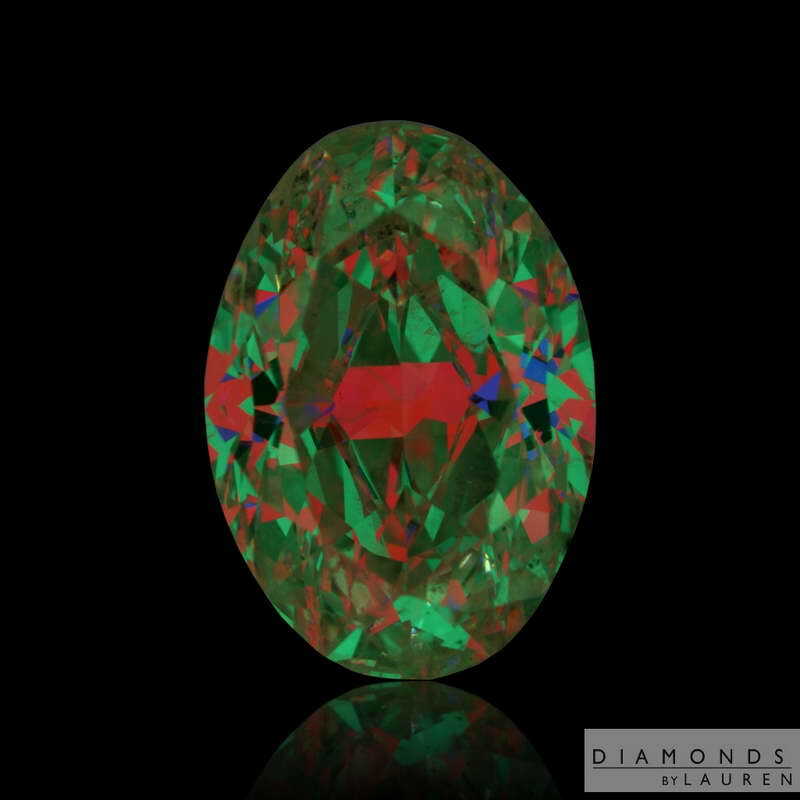 Well cut oval diamonds are rare. 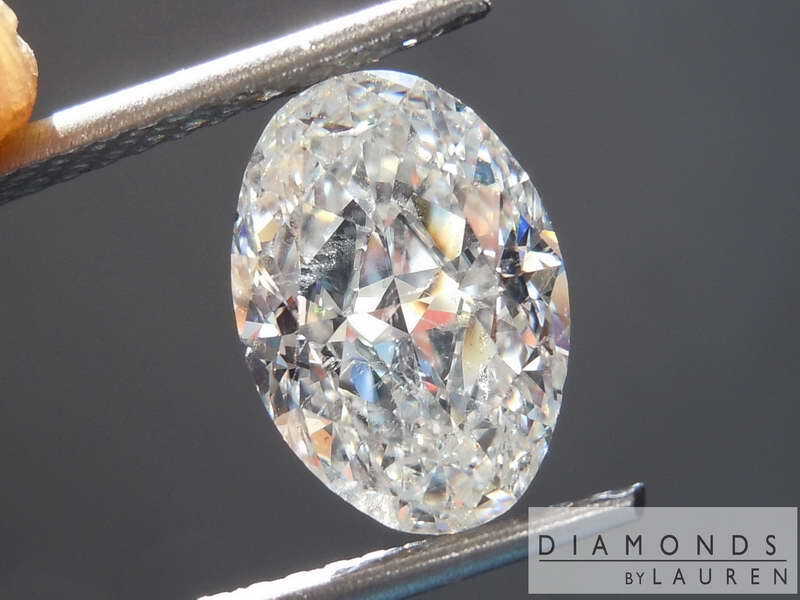 Although this stone is more shallow than many other ovals on the market it is still extremely well cut. What we get from this combination is a remarkable sparkle - dazzling. The sparkles are smaller than on certain other styles of cut - meaning there are no large dark areas aka bow tie. 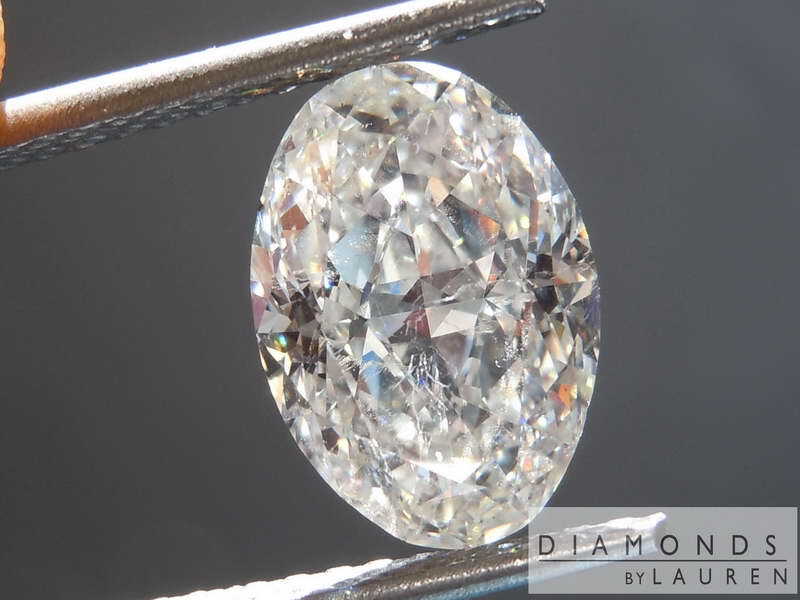 Plus, the way this stone is cut, you get a 3.26ct that looks more like 4ct. The color is graded I color by GIA. The way it's cut, and the medium blue fluorescence give the stone a whiter appearance than many other I color diamonds. It's not going to look like a D, but the tint is subdued. 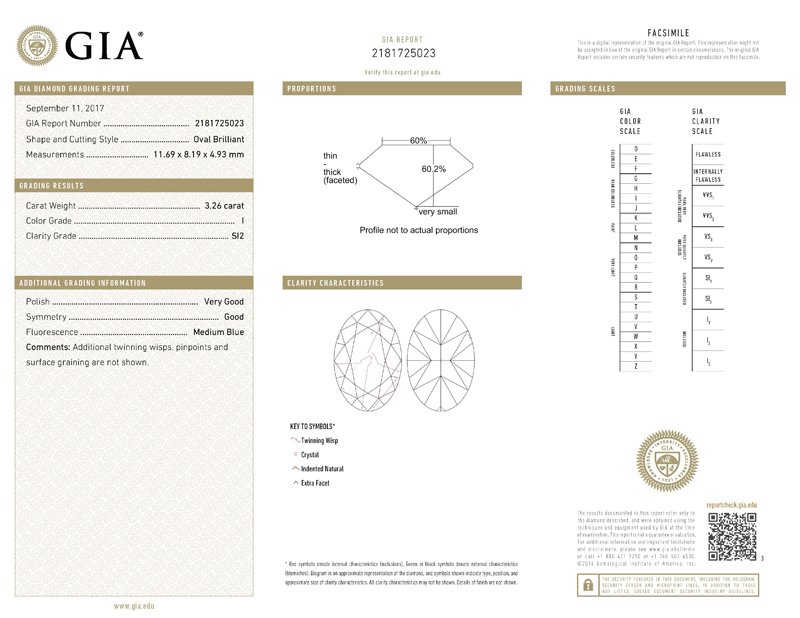 The clarity graded SI2 by GIA. 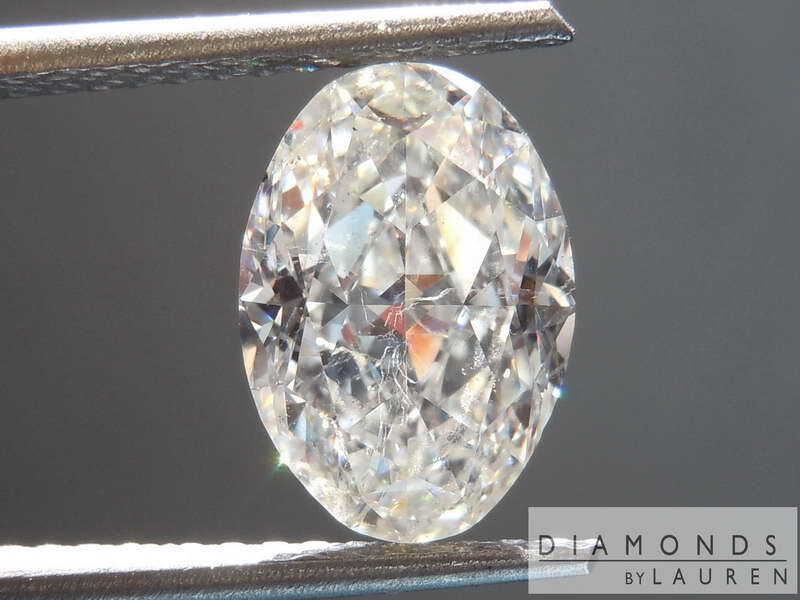 In some cases SI2 is a big problem, however, this diamond manages to avoid that pitfall as well - it is totally eye clean. I love this combination. I color (with the Medium Blue). SI2 (eye clean). Large Spread. You get a very large diamond for a fraction the price of a G/VS1.